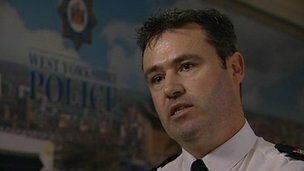 A quarter of all burglaries in West Yorkshire are being committed by criminals using a technique called “lock snapping”, police have revealed. Ex-burglar Peter Findlay said snapping the lock was “simpler and quicker”. Police said the technique first emerged in Bradford a couple of years ago and now accounted for more than a quarter of all burglaries across the force area. Ch Supt Paul Money, from West Yorkshire Police, said: “These locks are vulnerable to this type of attack but it can take between 50 seconds and two minutes to force the lock. The Association of Chief Police Officers are working with the door and lock industry to come up with a new British standard for locks. Mr Money said: “What we want to do is ensure that the new British standard locks are a lot stronger and can resist attack. Abbey Locksmiths now able offer replacement Yale British Standard ‘Anti Snap’ euro cylinders for any type upvc door, wooden door or aluminium door. Please contact us on 0800 052 0775 for a free quote.